MONDAY, March 19, 2018 (HealthDay News) -- The scenario may sound familiar: Your doctor sends your prescription electronically to the pharmacy, and you go to pick it up. Only you can't, because the insurance company requires "prior authorization" for that particular medication. Now you're caught in the middle, as your insurance company requests paperwork from your doctor to defend the need for that prescription. But new research suggests that process may be more than just annoying. A survey of 1,000 practicing physicians by the American Medical Association (AMA) found that doctors believe these prior authorizations affect clinical outcomes for 9 of 10 patients. In addition, 92 percent of doctors said prior authorizations have led to delays in patient care. "The issue of prior authorizations is getting worse, and the burden in terms of time consumption on paperwork has grown. And that's time I'm not getting to spend with patients," said Dr. Jack Resneck Jr., chair-elect of the AMA. "There was a time when I expected a prior authorization request for some things I was ordering, like for very expensive or unusual medications. But the request for prior authorizations has grown exponentially, and a fair number I write now are for generic medications that never required a prior authorization in the past," he said. Resneck said most requests are ultimately approved, but not without recurring paperwork and multiple phone calls. And this delays patient care. The survey found that nearly two-thirds of patients experienced a delay of at least one business day, while almost one-third had to wait at least three business days. The delay can sometimes prompt almost 8 in 10 patients to abandon their prescribed course of treatment, the AMA survey found. This isn't the first time the AMA or others have raised this issue. In fact, the AMA and other health care groups have been working with the trade association America's Health Insurance Plans to improve the prior authorization process. "Prior authorization is an important and valuable tool to protect patients by ensuring a prescribed therapy is safe and effective for the patient's condition and is a covered benefit," said Cathryn Donaldson, director of communications for America's Health Insurance Plans. But Donaldson said, "We recognize that the prior authorization process can and should be improved." The doctors surveyed would agree: 84 percent feel the burden on their practice due to prior authorizations is high or extremely high, and 86 percent say the burden has increased over the past five years. On average, doctors are receiving 14 prior authorizations for prescriptions each week, and 15 prior authorization requests for medical services, the survey found. And it takes almost 15 hours (or two business days) to process these requests. More than one-third of the physicians surveyed have staff members who work exclusively on prior authorizations. Almost 80 percent of prior authorizations are sometimes, often or always required for medicines a patient has already been taking for a chronic medical condition. "I spend a lot of time thinking about the best thing to prescribe for my patients, and at the same time, I'm trying to also be a good steward of resources," Resneck said. "For myself, I'd be happier not to be subject to prior authorizations, but I can understand that there will be times -- like when there's a brand-new or very expensive therapy -- when a prior authorization is required," he said. But, Resneck added, there needs to be more transparency from insurers. He said he can enter a prescription into an electronic health record and send it via computer to the pharmacist, and at no time do these systems tell him a drug might need prior authorization. 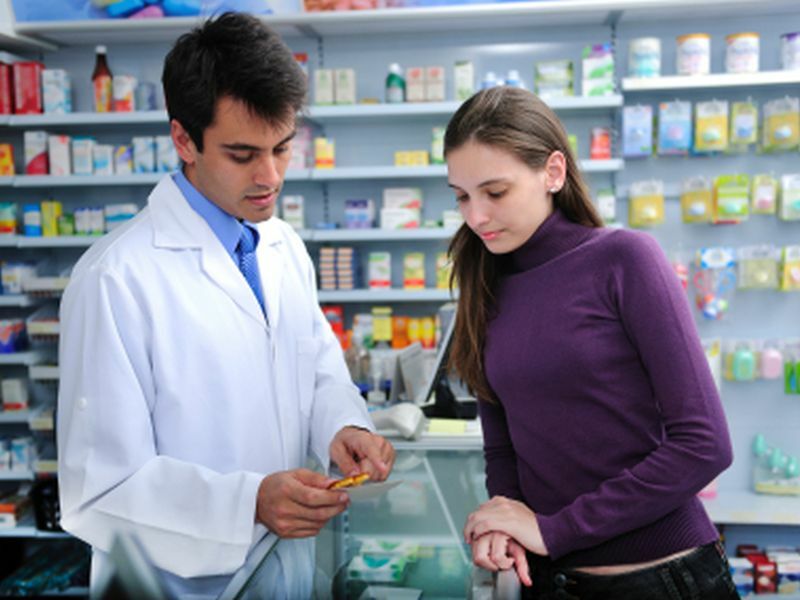 Patients don't find out until they've gotten to the pharmacy. Accelerating adoption of electronic standards and increasing insurer transparency. The AMA survey was released March 19.